I wrote a post last year about time travel stories. Immediately I was finished, I thought of things that I had missed and I wanted to do another one. How could I have forgotten about some of these. I also saw new stuff that I thought was worthy of mentioning. So, here are ten more time travel stories that I really enjoy. It’s interesting that I left out a certain sub-genre of storiy. That’s the one where people relive the same period of time over and over again. In effect, they are constantly travelling backwards in time in a loop. So, just to clarify, this isn’t designed to be a top ten, it’s not in order, it’s just ten more stories that I really enjoy. I had very limited expectations for this. I had no idea that it was going to be so engrossing and that I would be as gripped as I was. 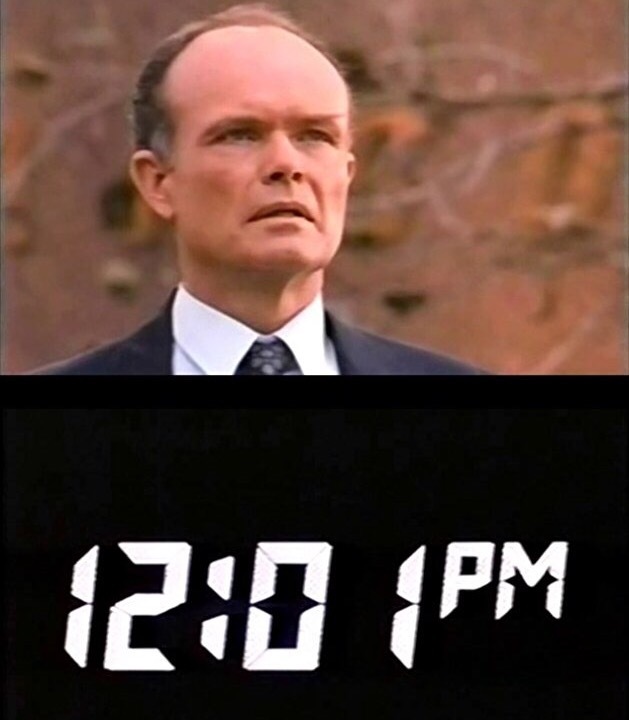 The central premise is that someone is given the chance to be sent back in time in order to prevent the assassination of John F Kennedy. If he makes a mistake, he can reset by going back to the present and going back to the past again.. Every time he goes back, the clock starts from the same place with things just as they were. One of the things I really enjoyed was the concept of time being almost an entity in itself. The more the protagonist messes with time, the more it pushes back with some horrible consequences. 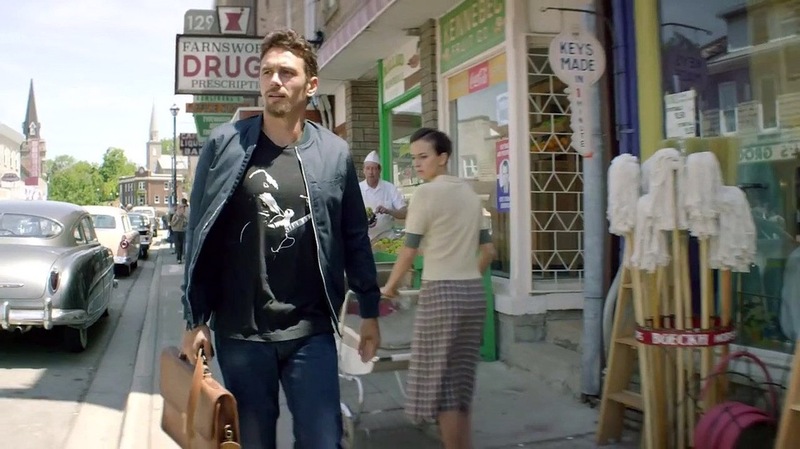 James Franco makes an excellent lead and this is probably the role I have most enjoyed of his. There’s also a doomed love story which always makes things more interesting. At it’s heart, its a compelling character-driven drama which flouts some of the usual conventions. There are some real things at stake as he has to wait around for a couple of years to make a difference and messing up after so long can waste years of his life. if you care to dig for it. This is a charming story, and an Avatar-style approach to the practicalities of projecting your consciousness into another place. Just like in Avatar, where Sam Worthington’s body is still there, in need of sustenance, when he projects into his Na’vi form, so Christopher Reeve lies helpless in a hotel room as he sends himself backwards in time to go courting with Jayne Seymour. His addiction to love and his desire to spend more and more time in the past leads to him starving himself in the present day. I love the central performances in this film. Christopher Reeve, who I haven’t seen enough except in a cape and tights, is particularly sympathetic. It’s a simple premise and one that is seen out to its inevitable conclusion with subtlety and skill. Add to that a great location, and a lovely, affecting soundtrack and you have a little known gem with a real heart. OK, you can’t get any further from the subtlety of the last film as this. This is one of the funniest films I think I’ve ever seen, and one that I can always return to and find something to love. Time travel here is used to abduct a range of historical figures, ranging from Genghis Khan to Billy The Kid so that they can save the protagonists from failing their History class. Seeing the fish-out-of-water concept stretched out to include so many different characters is immensely funny, reaching dizzying heights with Genghis Khan ‘totally ravaging’ a sporting goods store and So-crates Johnson trying to impress the girls with Billy The Kid. I’ll never tire of this film. I read this book many years ago and remember being breathtaken by the description of a world gone to seed in 500 years. The protagonist discovers HG Wells’ Time Machine in London and uses it to travel into the future. Motorways are grass-covered paths through a Britain which has returned to feudalism in a fairly grim, pessimistic fashion. The actual HG Wells, this time versus Jack The Ripper. Now there’s a logline that hooks you. 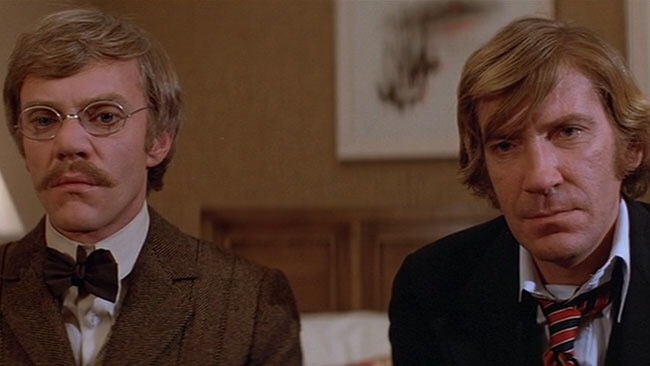 Malcolm McDowell and David Warner make for two compelling leads in this film, which was written by Karl Alexander and directed by Star Trek II’s Nicholas Meyer. Before Wells has even used his time machine in the nineteenth century, David Warner’s villain has stolen it and taken himself off to 1970s San Francisco. Wells must follow him in an attempt to bring him back to justice. If you’ve read any of my posts before, then you’ll probably know already that I love a good doomed romance. Primeval was ITV’s attempt to counter the reinvigoration of BBC’s Doctor Who in the Mid-2000s. Douglas Henshall leads a team of investigators looking into the phenomenon of ‘anomalies’ or portals to other time periods, mostly prehistoric, through which emerge a range of nasty creatures to terrorise the modern world. The Butterfly effect is a major factor in their own excursions to the past through these holes in space-time and near the end of the first season, the consequences of time travel are brought into stark, unforgiving reality. The burgeoning relationship between Henshall’s Professor Nick Cutter and his government overseer, Claudia Brown (Lucy Brown) is interrupted when he returns from a visit to the past and discovers that something has been altered meaning she no longer exists. This development comes completely out of left field and does create a world where there are real consequences, a brave move in any show, especially in its first season. They do bring her back, albeit with as different identity, but it puts a lump in your throat (well, my throats anyway) when you think of it. This episode was a standout in Matt Smith’s tenure as the Doctor. It addresses the depression and worthlessness felt by Vincent Van Gogh during his lifetime. He was unappreciated in his time and considered a failure. This episode serves to redress that unfairness by giving him an opportunity to see how the world views his work today. The Doctor transports Vincent to a modern day gallery where he hears Bill Nighy leading a tour through a range of his works, commenting on the artist’s status in the world and his legacy. 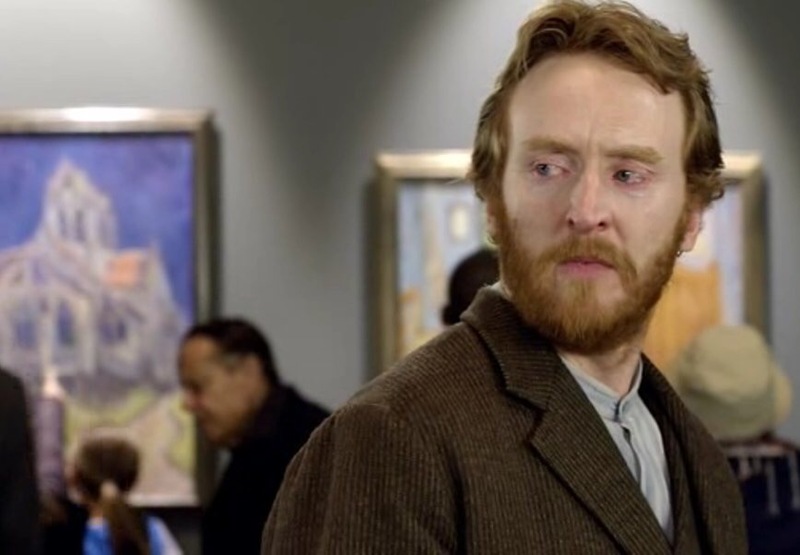 The experience moves Vincent (Tony Curran on great form), and the audience to tears. A great idea and a very well executed piece of storytelling on screen. This show was just starting to find its feet and enter some interesting territory when it was unceremoniously cancelled. The Last Good Day is the fourth episode of Season 2 and it brings some much needed ethical dilemma. For the whole first season, Tru (Eliza Dushku) repeats days in order to save lives, content in the fact that what she’s doing is ‘the right thing’. Then Jack (Jason Priestly) is introduced and his mission is to keep things the way they were meant to be. What I like about The Last Good Day is, and I’m seeing the City on the Edge of Forever parallels here, that Jack starts to feel something for someone that he’s going to have to ensure dies. Will he go through with it? Can’t believe I missed this one the first time around. Its a great premise in terms of time travel, owing a great (and controversial) debt to Harlan Ellison’s work. The casting of the film is as close to perfect as you could hope for – it’s just one of those perfect films, like Alien, where everything works. The time travel aspect of it is cleverly handled and never stretches credibility. 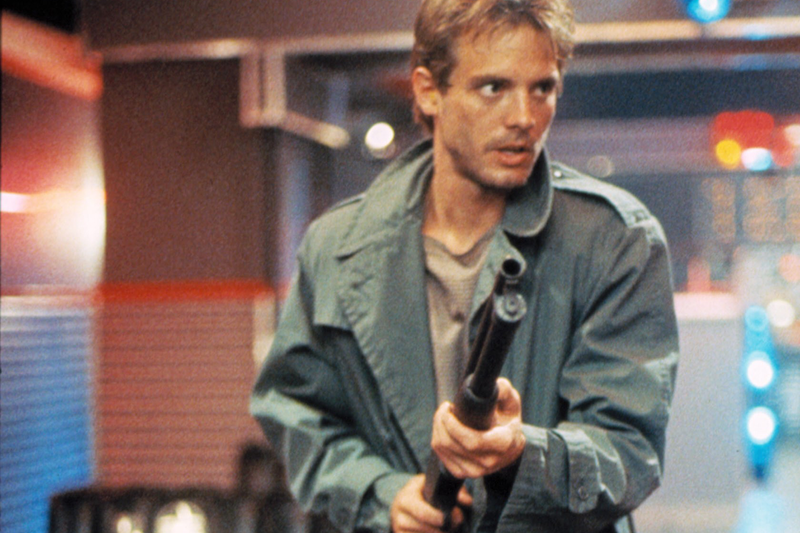 All you have to do is listen to Michael Biehn raging about how he has no clue how it works! Well, that’s ten more great time travel narratives, and I haven’t even mentioned Sapphire and Steel yet. I’ll have to save that for next year.